The International Competition A HOUSE IN LUANDA: PATIO AND PAVILION, promoted by the Lisbon Architecture Triennale together with Luanda Triennale, with the goal of selecting the best proposal for the conception of a family unit house in Luanda, was the most participated International Competition of Ideas ever to take place in Portugal, thus showing that the Lisbon Architecture Triennale completely fulfils its international calling. We received 599 proposals, 588 of which were accepted to the competition. Architects from 44 countries applied their proposals, coming from all the 5 continents. EUROPE – Germany, Austria, Belgium, Bulgaria, Croatia, Denmark, Scotland, Spain, France, Georgia, Greece, the Netherlands, Hungary, England, Ireland, Italy, Latvia, Lithuania, Poland, Portugal, Serbian Republic, Romania, Russia, Switzerland and Ukraine. The Competition Jury, Álvaro Siza, João Luís Carrilho da Graça, Fernando Mello Franco, Barry Bergdoll and Ângela Mingas assessed all the 588 proposals, having selected the 30 finalist projects. The authors of the 30 selected projects will develop a presentation scale model of their proposals to be displayed at the Exhibition that is to take place at the Museu da Electricidade from October 28, 2010 to January 16, 2011. The LISBON ARCHITECTURE TRIENNALE, which is going to happen from the 14 October to the 16 January 2011, launchs now an International Competition: A HOUSE IN LUANDA: PATIO AND PAVILLION. The aim of this architecture competition is to design a single family dwelling that is radically cheap to build for Luanda (Angola, Africa), a city which is under extreme demographic pressure and is undergoing an intense process of transformation, and that is suited to the cultural, economic and social circumstances of the area. 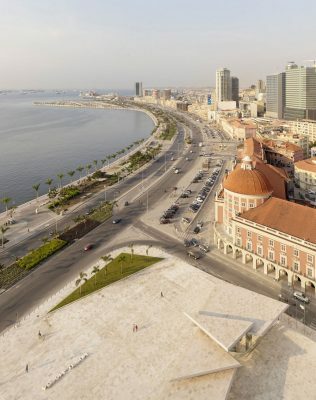 This project, promoted in collaboration with the Luanda Triennale, should include the possibility of dwellings that allow for evolutionary solutions, and possibly self-construction, which are therefore adapted to the speed of transformation of the social fabric of Angola and Luanda, being the large African metropolis that it progressively will become. The objective is to select the best proposal for the design of a prototype of a family unit which leads to a patio, with a low construction cost, aimed at severely deprived families, typically consisting of 7-9 people (Parents, 3 children and 2 grandparents or Parents, 5 children, 2 grandparents), in an area of flat topography, located within the city limits of Luanda. From among the projects a shortlist of 30 finalists will be chosen. The authors of the 30 finalist projects will be contacted by the Triennale to develop a presentation model of their proposal, which will appear at the exhibition at the Museum of Electricity, to be held from 28 October 2010 to 16 January 2011.